Stephane Richard knows a thing or two about the iPhone. 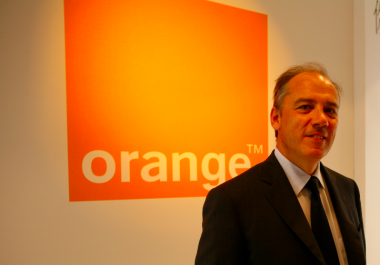 In addition to carrying one of Apple’s iconic smartphones, Richard is also the CEO of France Telecom, whose networks carry traffic from more iPhones than any other carrier except AT&T. France Telecom, with its Orange brands, sells the iPhone in 15 countries. But, while he praises Apple, Richard is wary of the power that the company holds by having total say in which apps do and don’t get on its network. Unlike with Android, where the carrier can largely configure phones the way it would like to, on Apple, the company has to settle for putting various services in the App Store. And, ultimately, it is Apple that controls what makes it into the App Store. In the interview, Richard offered a blunt take on a number of other key industry players and topics ranging from the need for variable pricing to the fates of Nokia and RIM. Richard has been outspoken before, including calls last year for those flooding networks with data–companies like Apple and Google–to help pay some of the costs of making necessary network investments. Though RIM and Nokia both face challenges, Richard said in our interview that he is glad that there are still a number of competing smartphone operating systems duking it out. Oh, and as for that report that France Telecom and Apple are working together on a standard for smaller SIM cards. That’s true, Richard said, and it’s a compromise designed to appease Apple’s desire for something smaller without resorting to a software-only virtual SIM card that Apple had initially been advocating. The real risk of everything is collapse. Nobody utters this loudly enough, but the real issue for the world is a collapse of the network or some local collapses. We are the people with pipes. We are supposed to invest heavily in pipes in order to bring the capacity which is necessary to sustain the explosion of consumption and usage and data traffic in our networks. At the same time, the people that create this traffic…are not really incentivized to manage properly, globally, the traffic. There is an unbalance in the overall system, which in our view is a major problem. It is totally impossible to absorb such an explosion in traffic without first, clearly investing massively in spectrum and equipment, and second, without introducing some new pricing approaches. There are a lot of questions around Microsoft and Nokia–-capacity really to reverse the quite negative trend that they have in the market. It seems difficult, but we will see. We are still definitely in favor of seeing at least three or four big families of operating systems in the market. But it is true it is going to be difficult for them. It’s not really declining. It’s still popular in Europe. They have customers and users that are quite faithful to them. It works more or less like a community of people. It’s often families that are big BlackBerry users, and of course companies. They have had some quality problems in the recent period which is a concern, especially with the next generations of devices. In my view as a customer, or as a partner of them, I think they really should fix very quickly their quality problems. Android is, I think quite a solid and reliable operating system and doesn’t suffer with bugs. We have regularly problems with RIM. We have no problem with Apple and with Android. Let’s be frank and clear. To me, the risk theoretically is more for Google to use releases–Android releases–as a weapon in their relationship with device manufacturers and indirectly with telcos than anything else. So far they have not really tried to do it. Everybody is talking about Net Neutrality. Net Neutrality is not only dealing with pipes. It also deals with management of application shops. If you have people like Apple managing their application store and saying “This is OK and I don’t want to see this app in my shop,” it’s a problem. So far, we have been able to come to solutions with Apple people, even though they are a little tough….We are able to find solutions. We are not at war with the Apple guys. But it is true that it can be tough. Of course Ideally we would like to have those services embedded natively in the handset which is what we do with Android-based devices like with Samsung or HTC or people like that. It is not possible with Apple. We still are in a position to bring those apps to our customers through the app stores, provided clearly we have access to the App Store. Definitely if we face these kind of problems we will go to court. Because competition is not only something that should be applied to telcos and to carriers. For us it should be a principle for the whole Internet environment. We are going to work with them in order to standardize a new format of SIM which takes into accout our needs with security and authentication and also is compatible with their wishes in terms of size. I understood that the next iPhone would be smaller and thinner and they are definitely seeking some space. This is good evidence we can work properly with Apple people, Apple teams. In that particular case, we have been able to find, I think, a good answer which is good for everyone. To be honest, I am still a little skeptical of the size of the world market in tablets. First, I do think the iPad is very well ahead of the competition in terms of tablets. To me as a user and as a partner, there is the iPad and there is the rest. I think there will be a world market for the iPad. What will be, really, the size of this market, is difficult to say, because in fact it is a new market. In fact I think that in the future people will have several devices, several screens. Nobody knows what is the mix or the range of devices that we will have.